Toni & Sacha Mascolo present a luxury hair care range incorporating the exclusive Rejuven-8 ™ Complex. With eight of the most technologically advanced Anti-ageing ingredients and is designed to reverse the visible signs of ageing, leaving hair looking strong, radiant and youthful. Directions: Use with label.m Therapy Rejuvenating Shampoo, massaging through from roots to ends. 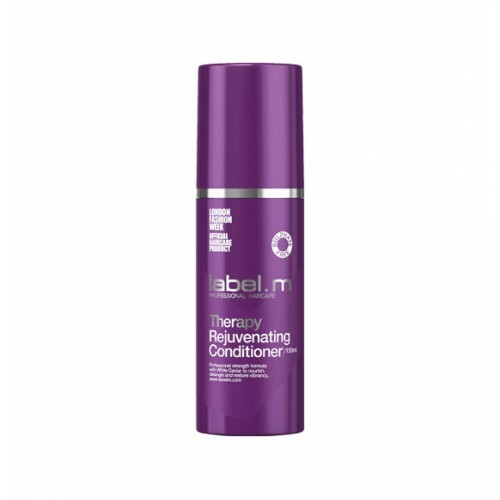 And for extra conditioning, use label.m Therapy Rejuvenating Protein Cream designed to create an anti-frizz barrier and stimulate cells, leaving hair luxuriously silky soft and full of lustre.